First published in the Sunday Tribune on 14 April 2019. Recent reports that two chicken farms, which the eThekwini Municipality bought from Rainbow Chickens two years ago, have been left to go to ruin are distressing (“Chicken farms bought by eThekwini for R15m left barren,” Sunday Tribune, April 7.) However, they also raise three significant points about he realities of dumping in South Africa. The first is that the company sold the farms because it cut production as a direct consequence of dumping. What was true in 2017 is even worse today. Current figures show that poultry imports have already cornered around 24% of the market… a bigger chunk of market share than even the biggest single local producer; with 61% of those imports coming from Brazil. It is a reality that cheap imports are devastating the local market, leaving South Africa vulnerable to a situation where we are dependent on imports, and unpredictable exchange rates, to fulfil the local demand. 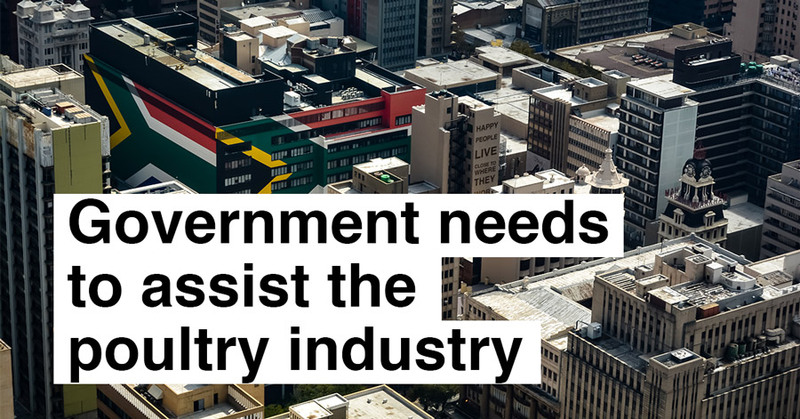 It is vital that the government intervenes now to protect this critical industry and vital contributor to SA’s economy from predatory trade. This raises the second point: while it is admirable that the municipality wanted to save jobs and empower black farmers, the scheme was probably stillborn due to the impact of dumping on the state of the market. Instead of municipal-level investment in two farms, a holistic approach to the overall industry is necessary. 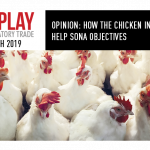 Government and the SA Poultry Association are developing an industry master plan and the eThekwini Municipality example shows just how sorely needed that plan is. With government focusing on the right aspects, particularly the protection of the domestic market against predatory trade practices, jobs will not only be preserved – they will be created all along the poultry industry value chain throughout the country. Another issue that the municipality failed to take into account is that chicken farming is not a shortcut to prosperity. It is a complicated business that requires proper planning and infrastructure, high-quality inputs (from day-old chicks and the right feed to stable electricity supply) and, crucially, a market. Given that these farms effectively closed twice because dumped chicken was stealing their market, what chance is there of new farmers prospering without guaranteed buyers for their chickens? There is no telling if the eThekwini Municipality farms will ever get back into chicken production. Government and the industry should accelerate their efforts to create an industry master plan that includes tariff protection and a value-chain traceability system, to enable the emerging farmers whom eThekwini seeks to empower. Francois Baird is founder of the FairPlay movement.